How do you grow a massive company? Get the executives to think innovatively. How do you get corporate executives to think innovatively? Treat them like entrepreneurs. How do you treat executives like entrepreneurs? Tie their compensation to performance. Drop their salary to $1 and compensate them with stock options and performance-based bonuses. For proof that this works, here’s a list of 10 high-powered executives with $1 salaries and the cutting-edge companies they’re working for. 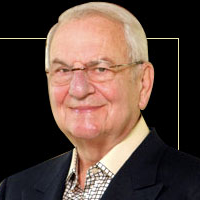 Back in 1978, Lee Iacocca pioneered the one-dollar salary. Iacocca had just been fired as president of Ford because his personality clashed with Henry Ford II. At the age of 54 and without a job, Chrysler recruited him with a starting salary of $1. Steve Jobs has taken a $1 salary since he rejoined Apple in 1997. But don’t feel bad. He’s accumulated hundreds of millions of dollars-worth of company stock and Apple gifted him a $90 million personal jet in 2000. 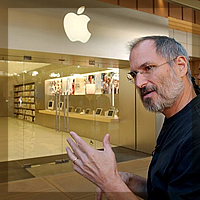 Plus, when Jobs uses the jet for business, Apple compensates him (to the tune of $776,000 in 2007). 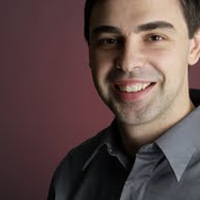 As of April 4th, 2011, Page is the new CEO of Google (following Eric Schmidt who also took a $1 salary). Page, Schmidt, and Brin (next on the list) first requested a $1 salary in 2004 just before Google’s Initial Public Offering (IPO). But Google didn’t grant them their wish until 2007. 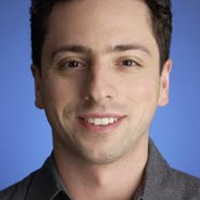 Like Page, Sergey Brin only makes $1 per year to hold his position in charge of special projects at Google. 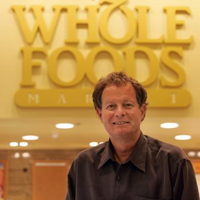 Prior to the new salary request, both Brin and Page were making a modest $150,000 per year. 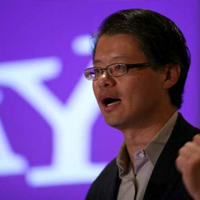 Jerry Yang co-founded Yahoo! in 1995 with David Filo. He held the CEO position for 18 months. However, Yang had a salary of one dollar for years before he took the position. 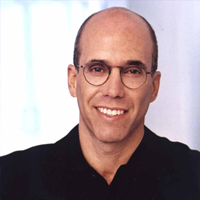 At DreamWorks Animation, Jeff Katzenberg has reportedly received a $1 salary since co-founding the company with Steven Spielberg and David Geffen in 1994. But as a co-founder, he owns millions of shares of a billion dollar company. 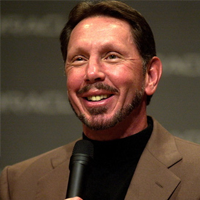 Larry Ellison, along with Ed Oates and Bob Miner, co-founded Oracle Corporation in 1977. Now it’s worth $73.5 billion and Ellison has elected to receive a $1 base salary starting last year. That’s down from $1 million the previous year. But as the world’s third wealthiest person, I think he’ll manage. Since he assumed the position of CEO in 1995, Cisco went from a $1 billion company to its current value at $40 billion. In 2001, Chambers asked his board to lower his salary to $1. 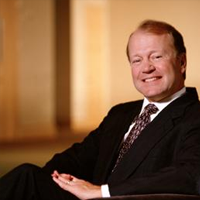 As a company, Cisco decided to re-up Chambers’ salary to $350,000 in 2004. 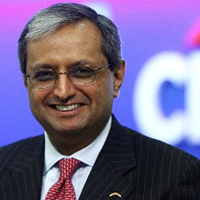 In 2008, Citigroup was seeking a federal bailout but CEO, Vikram Pandit still received over $38 million in total executive compensation. Then in 2009, Citigroup received federal assistance from Congress and Pandit told his board, “my salary should be $1 per year with no bonus until we return to profitability.” So he took his $1 salary until Citigroup returned to profitability in 2010, at which point it jumped back to $1.75 million. Yes, most of these executives are compensated just as much, if not more than the average CEOs. But that’s because they’re growing better than average companies. No matter how you look at it, the $1 salary encourages entrepreneurial decision making and I’m a fan of that. Hey Buntu, did you read the article? It’s to tie compensation to performance. If the company does well, the stock goes up, and the execs get paid. Just like if you own a business. You only get paid if you do a good job. You make the mistake of tying together “performance” to the stock price a company might have. If we’ve learned anything over the past 10 years, it is that stock price does not necessarily reflect the health of a company. Furthermore, a CEO (with a few notable exceptions) rarely have a true economic impact on a company. Basically, many CEOs’ (not all) successes/failures are more contingent on the general economy, market sector forces, blind luck than they are on their actual decisions. That is really a very motivating strategy for every business. It makes us do the best of our abilities and reward ourselves in the end. No wonder why these big business entities keeps getting better as time goes by. Thanks for the share. I enjoyed reading this article. Yep. Lots of people whine about how it’s a selfish media ploy, how they’re just trying to cover up greed, and how they only do it to skip out on income taxes. But these are some of the most innovative companies in the world. I’m happy to spread the message because I know they do it in the best interest of the company and the stakeholders. Good to see ya over here! Hey Abigail, I used my friends’ tutorials. For the Tweet button, I use the Easy Twitter Button. For the sharing options on the side, I use the Sharebar plugin.